Updates to Henry David's profile since your last visit are highlighted in yellow. Linda and I live in Bollinger County on a blueberry farm that we own. Linda is retired from teaching at Woodland, and I am still working construction for Penzel Const. Co. I have a one-man bandsaw sawmill that I do custom sawing with in my spare time. Henry David Whitener has a birthday today. 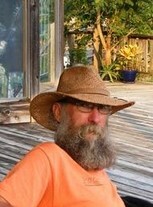 Henry David Whitener changed profile picture. Henry, just hangin' out on the deck. Henry and Linda in Switzerland, July 2008. Our whole crew, cutting down the Christmas tree in 2008. Travis, Melinda, Henry, Linda, Lilo and Eric.